Whatever happens, happens for good. This is true word by word. 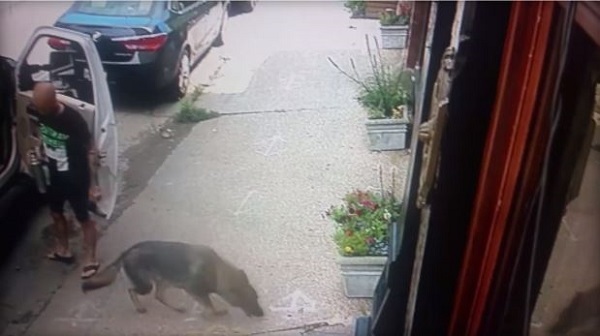 In Chicago, a group of thieves planned to rob the neighbourhood, but in this mess, they inadvertently managed to save a life of a pooch. Yes, you heard it, they saved the life of a German shepherd. A pickup truck was seen nearby Irish Nobleman Pub. The scorching heat of 80 degrees was unbearable. The pooch was locked up inside the truck. In about 15 minutes or so, the gang of thieves was circulating the perimeters, when they came across the truck. They saw the laptop inside the truck, which was their aim; hence they smashed the window of the car and stole it. However, the dog stuck in the truck was also saved in the entire messed up an incident. The pub owner, Mr Declan Morgan mentioned saying that it was highly doubtful that the thieves knew if the dog was in there. He posted the CCTV footage on Facebook. He also said the crooks unintentionally saved the pooch by breaking the window in the greed of the laptop they saw inside the pickup truck.